Why settle for a default way of brewing! The very first fully adjustable bespoke coffee pour over. 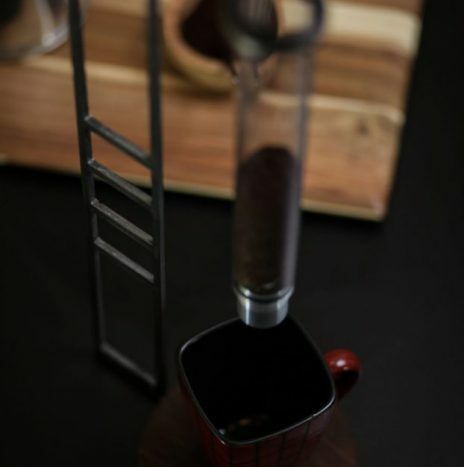 The unique brew tube design allows for full saturation of the coffee grind versus a typical pour over design. This allows for more consilient brews every time. The one of kind adjustable brew tip allows for you to define overall brew time and flow to your unique taste. 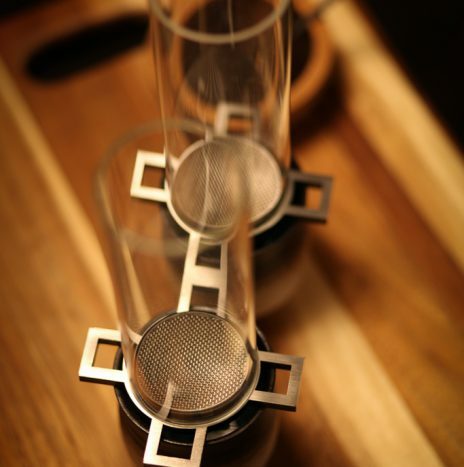 This combined with our stainless steel filters or paper filters creates adjustability in the brew. Brew tips offered in 5/16″, 1/4″, 1/2″, 3/8″ sizes. 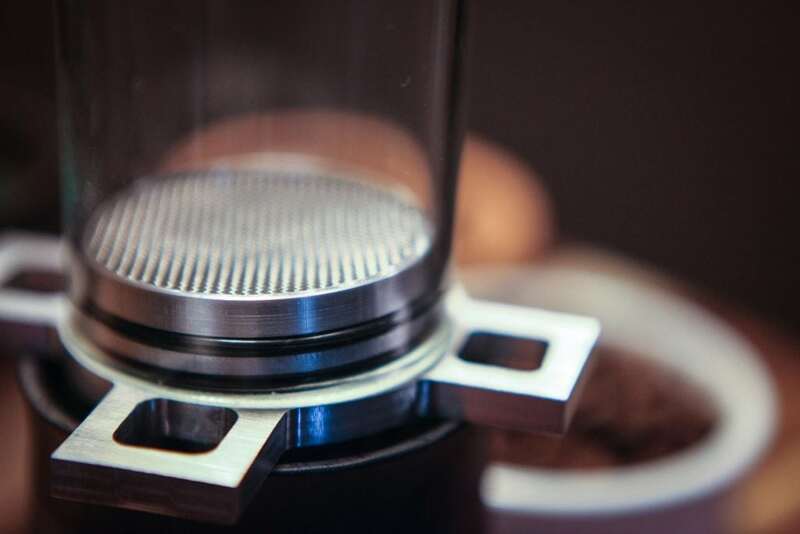 The stainless steel filters create a cleaner brew and also allow for adjustability with the brew speed. The filters are built into each brewing tip and allow for easy clean up and reuse. Flow can be easily controlled with the assortment of brew tip options offered. 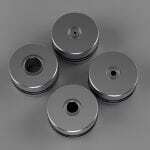 Each one is machined to a precision dimension with a reamed hole for accuracy. 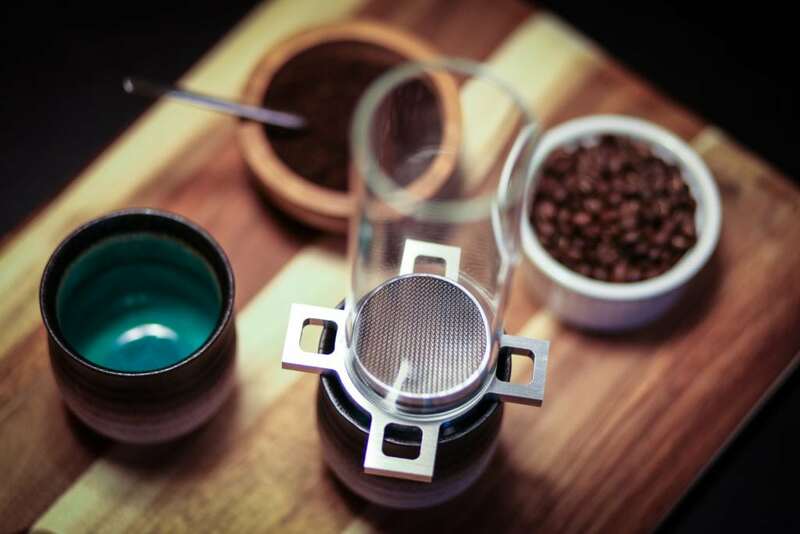 The different hole options allow for changes in grind size and brew time. All of this is controlled with flow. 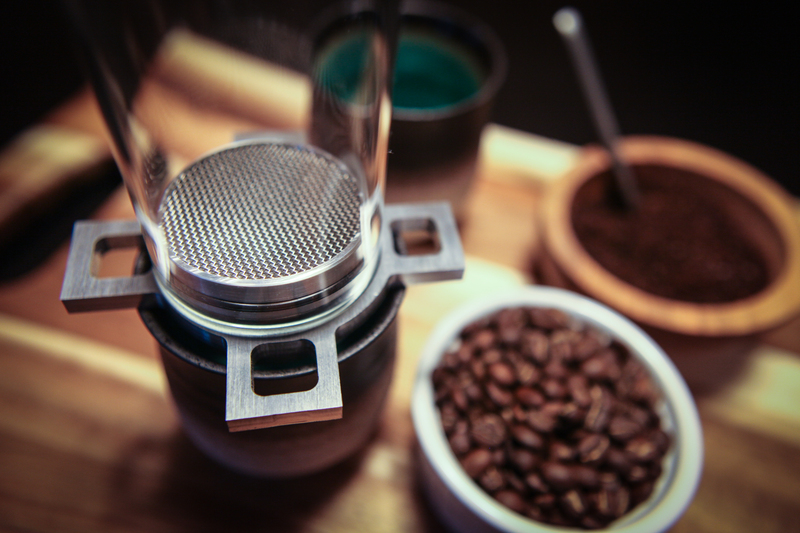 The brew tip and tube design allows for precise extraction. A typical pour over will have one hole size and possibly grooves cut into the wall for better extraction. 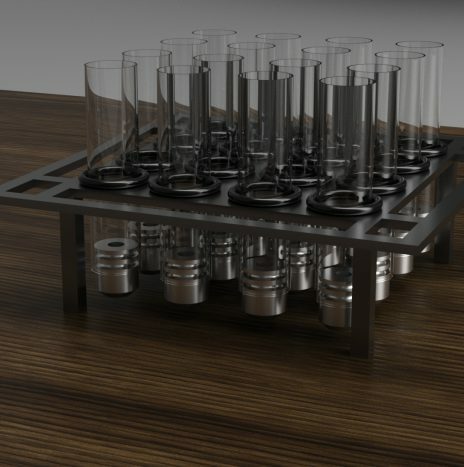 Our design allow you to dictate that flow and extraction time. The tube allows for a even saturation of the grind and the exchangeable tips allow for adjusting the brew time and speed of extraction. 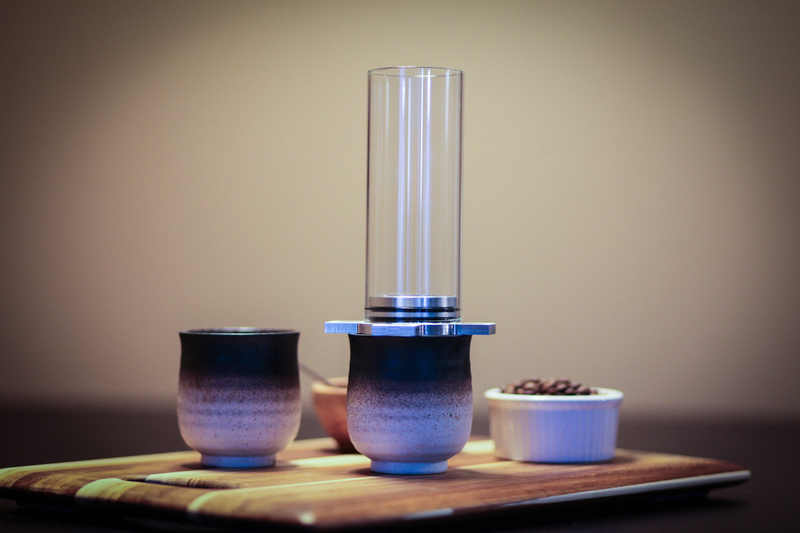 With the unique adjustable brew tips, you can pair your coffee know based on the adjustability of the pour over brew. This allows you to dial in different roasts to bring out each unique and special characteristics. Every Proper Coffee maker is made fully in Detroit, Michigan. 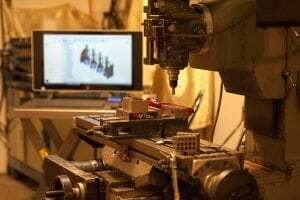 We design, develop and manufacture all components in-house. 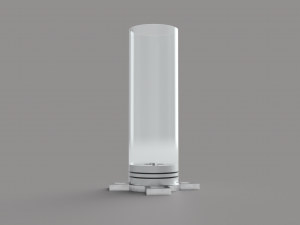 The main metal base is cnc machined, glass tube is hand cut and flame polished and the adjustable brew tips are both cnc milled and cnc lathed. All finishing, assembly and inspection is done by hand. Proper Coffee single pour over coffee brewer with one 1/4 hole brew tip. Flexible brewing design with our new interchangeable aluminum brewing tip option. Adjustable brew tips – Adjust your brew with the optional aluminum brew tips with different size holes for brewing time. 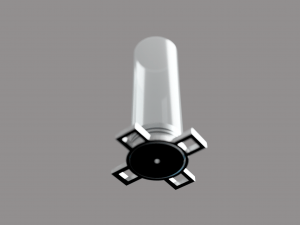 By adjusting the tip hole size will allow for slower or faster brewing times. The pour over comes with one 1/4 hole brew tip. 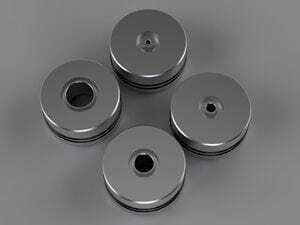 Other optional tips are available in 5/16, 1/8, 1/4, and 1/2 inch size holes. We’re proud to introduce the new Proper Coffee simple pour over brewer that produces an exceptional cup consistently. 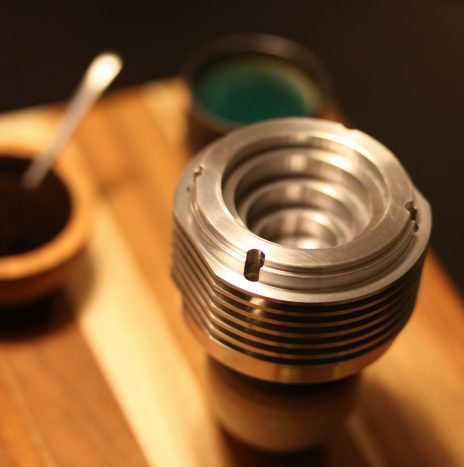 The tube design gives for a long complex extraction during the coffee brew process. This makes for a more robust and smooth brew, versus a normal pour over design or other brewing methods. 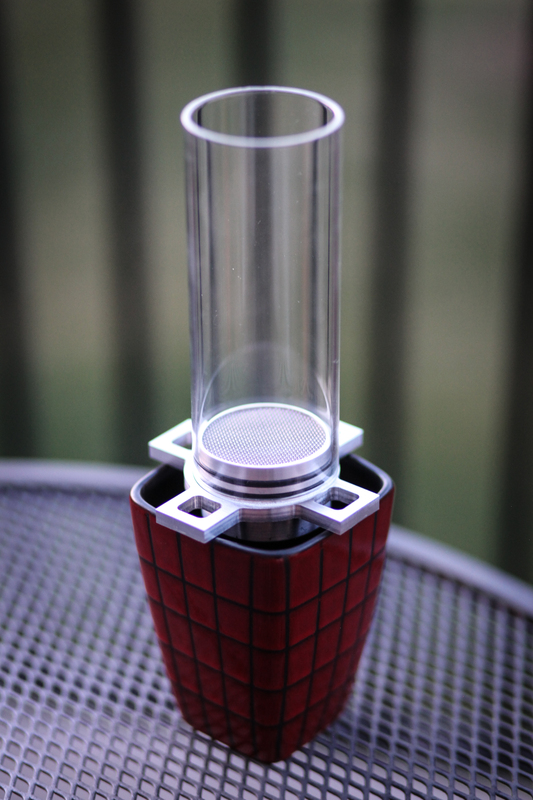 The glass tube holds 12 oz. of fluid. 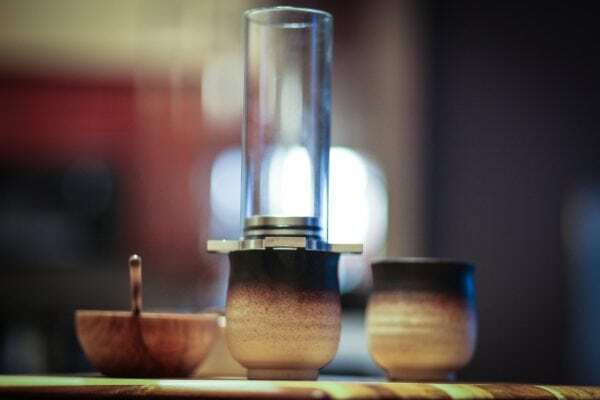 The drip contains everything to start brewing right away, except a coffee cup! Designed to fit all coffee and tea cup sizes. 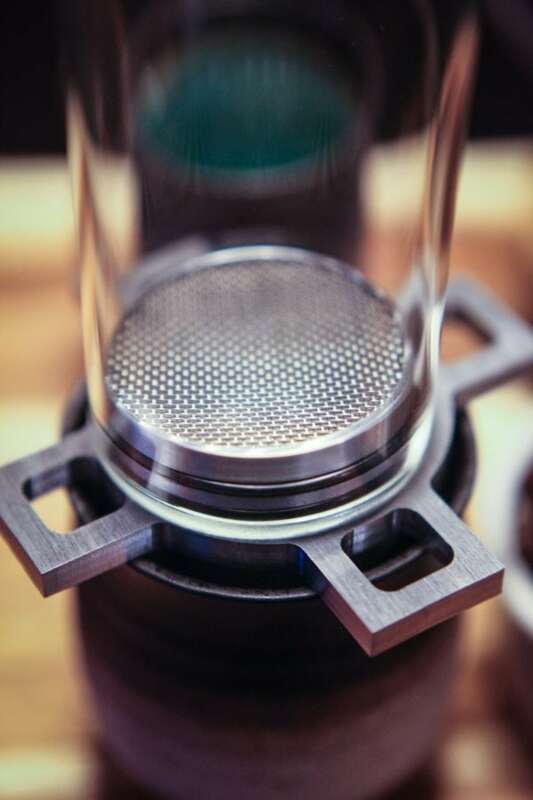 The reusable stainless steel filter screens come in 2 different sizes to adjust filtering depending on the coarseness of the coffee grind. 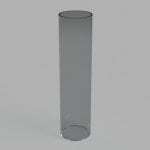 We also offer one time use paper filters that can be used in combination with the stainless filters for finer filtration. 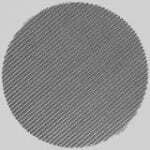 1 – Aluminum brewing tip with a 1/4 hole size. Other brew tips available.